If you’re anything like me, you’ll recognise the reality of logging onto eBayUK “for a quick look” before losing hours of time, clicking through from item to item… a shopping black hole, genuinely one of the hardest sites on the internet to escape from once you start browsing. You’ll also be familiar with the triumphant feeling of snagging a hard-fought bargain, waiting until the timer ticks down, heart-rate increasing as the counter gets closer to zero. Wait, wait… ok… BID! HOORAY! I’ve been shopping on eBay for beauty-related items for many years, it’s my number one source for hard-to-find products that may have only been available on counter for a couple of weeks. It’s also my number one source for buying high-tech cleansing lotions and quirky cheek tints from the Far East. It’s a veritable treasure-trove for beauty hunters, especially those of us who may be looking for a little saving on the RRP. This month, eBay UK have introduced a new and exciting way to browse for some brilliant items. eBay Collections lets YOU take control and publicly share the items that catch your eye. Create themed boards of items that inspire you, styling them beautifully into carefully curated collections that range from homeware to beauty, fashion to sport – the possibilities are indeed, limitless! 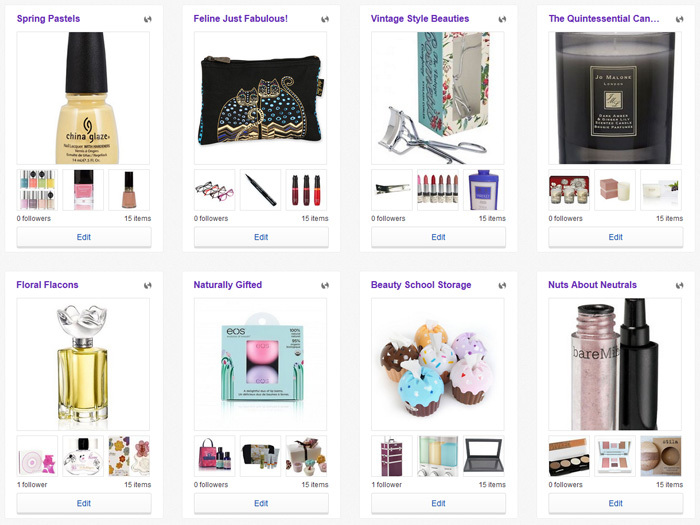 I’ve been working with eBay to create some beauty-inspired collections that feature some of my favourite finds and fantastic themes including: Rainbow Nails, Nuts About Neutrals, and The Miracle of the Micellar! I’ll be updating the collections and refreshing the items over the next few months and hope that you’ll follow my lead and get curating some collections of your own! If you find yourself feeling inspired to get creating, leave a comment below so I can hook up with you on eBay and follow your collections as you build and grow them. Also, if you have any ideas for themes that you’d like to see me create, give me a shout and I’ll give it a go!